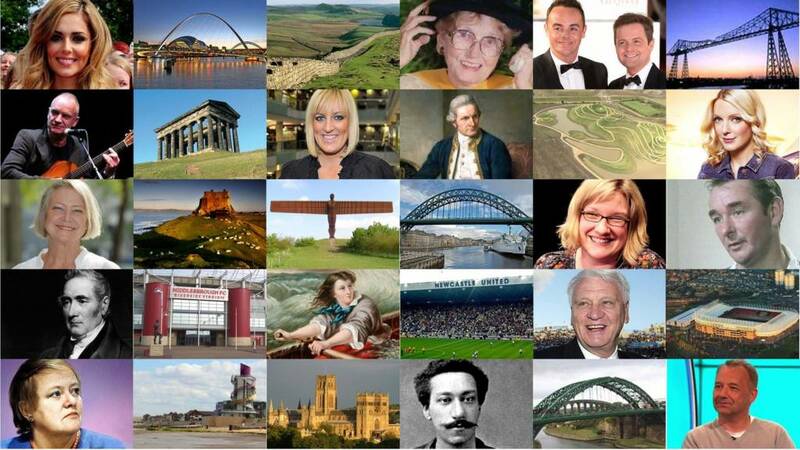 You can stay in touch with the latest news overnight on BBC Tees, BBC Newcastle,Look North, and online. We may all be shivering in the cold but it means some beautiful photos are being taken. We'll leave you with these two - the top one was taken yesterday by Wayne Laidler in Bamburgh and the one below of the partially frozen River Coquet in Warkworth taken by Rachael Johanne Wayman. The man admitted one charge of causing grievous bodily harm and another of causing grievous bodily harm with intent. It will be cloudy at times along the coast with some wintry showers continuing into the early hours, along with a moderate northwesterly breeze. Further inland, a widespread frost will quickly develop where skies are clearer, and winds lighter. Tomorrow: A frosty start to the day, then a largely dry, fine, but cold with bright or sunny spells. Turning cloudier from the west later, with overnight rain and possibly some hill snow. The weather got colder over the six nights the event was held at Saltwell Park in Gateshead, but it certainly attracted the crowds. Last night saw lots of families have a look at the lit exhibits in sub-zero temperatures. A nature reserve is appealing to keen knitters to help create an iconic literary scene ahead of a special event next year. RSPB Saltholme is recreating Mr McGregor’s Garden from Beatrix Potter’s The Tale of Peter Rabbit for a "yarn bombing" display in January. It is asking members of the public for knitted vegetables and squares of brown, knitted soil to help finish off the display. Patterns are available from the reserve reception in Port Clarence, Middlesbrough. Our reporter Anna Snowdon has paid a visit to Hullabaloo in Darlington. A 69-year-old cyclist is in a critical but stable condition with a serious head injury after a collision with a car in Sunderland. It happened at 14.34 on Sunday on the B1405. Members of the public including a doctor were at the scene assisting the cyclist, but they left before the police arrived. Officers would like them to get in touch as they may be able to help their investigation. It's getting cold out there and Killhope Lead Mining Museum has some pretty impressive icicles. Sirius Minerals says buying land on the River Tees near the former SSI site in Redcar will mean they'll be able to export around the world for hundreds of years to come. The company is behind a new polyhalite mine near Whitby and says the development will create 2,500 jobs. It's just completed a deal to buy the Brans Sands site, near Redcar, where the conveyor belt from the mine will end. Chris Fraser the CEO of Sirius Minerals expects the company to export £2.5bn worth of fertilisers out of its new port at Brans Sands when it gets to full production. Winding across the United Kingdom, the A1 is the longest numbered road in Britain, providing a route between the capitals of England and Scotland. Embarking on a visual road trip, Peter Dench photographed the characters and locations he encountered as he drove the length of this road. This project was intended as an homage to Paul Graham who undertook a similar photographic expedition in 1981. Despite the nature of the task, Dench admits, "I don't like driving cars; I don't like the smell of cars, the sound of cars, the process of refuelling cars or even talking about cars, but I do like taking journeys." Among the photos are one of visitor who took a detour off the A1 in order to take a selfie with his daughter next to the Angel of the North in Gateshead. Passengers using the Tyne and Wear Metro face further disruption this afternoon and evening. Metro operator Nexus has tweeted to say its core service will run this afternoon providing a train every 12 minutes between Airport and South Hylton, and between St James' and South Shields via Whitley Bay. But it says due to train faults some of the additional peak time services between Pelaw and Monkseaton will be cancelled. It says of 10 trains it uses to make up these services only six are available this evening. This morning's services were also affected by train faults. The A19 soutbound has been reopened after an eight-vehicle collision earlier. The road was closed near the junction with the A174 earlier and the slip road was used for a diversion. Cleveland Police say the carriageway is now open but there will still be some delays. It's described as the world's toughest race and two friends from Northumberland are part of a team preparing to take part in it. Final checks are being made ahead of the Atlantic Challenge where teams row 3,000 nautical miles from La Gomera in the Canary Islands to Antigua. The challenge means at least 40 days on the Atlantic Ocean where extreme weather conditions and sleep deprivation will add to the physical and mental pressures. A thief was chased from the house he was trying to burgle in Newcastle. In the early hours of Saturday morning the would-be burglar smashed the window of the home on Ladore Road and managed to get inside. The occupant confronted the man in the back garden before chasing him in the direction of Gosforth high street. The burglar is described as white, aged in his 40s or 50s, of heavy build and with short dark hair. He was wearing what is described as a black donkey style jacket. There have also been reports that he was trying to gain entry to flats in the same area earlier in the evening. Blue Reef Aquarium in Tynemouth recently took in an injured seal pup. "Barry" was picked up by divers in Whitley Bay with an abscess. He needed medical treatment and was brought to the rescue centre. He has recovered well so the team are ready to release him back into the wild. A yellow weather warning for snow and ice has been issued for this afternoon and tomorrow morning in the North East.. The warning is in place from 15:00 today until 11:00 tomorrow. The Met Office says: "Ice is expected to form on some surfaces from mid afternoon Monday, and overnight into Tuesday morning. "Wintry showers may also bring some fresh snowfalls, mostly to higher ground. Accumulations of 2-5 cm area possible, again mostly above 100-150 m in places in eastern Scotland and eastern England." It warns there will be icy stretches on some untreated roads, pavements and cycle paths. Middlesbrough Council has closed the town's market and fairground in Centre Square until Thursday due to the expected bad weather. The Tyne and Wear Metro had difficulties this morning but announced at lunchtime that the service was running on time. Three robbers armed with a machete threatened a couple in their Bishop Auckland home. The three, who were wearing masks, assaulted one of the homeowners and took a "significant" amount of cash, jewellery, cigarettes and Christmas presents from the property in High Street, Eldon Lane, near Bishop Auckland at 17:30 yesterday. 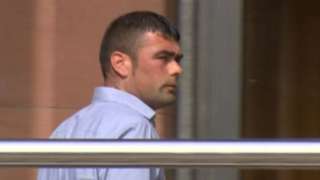 Det Sgt Gareth Hodgson, of Darlington CID said the robbers had made threats of "extreme violence". Hartlepool residents have reacted with sadness at the news that the town's historic Wesley Building has gone up in flames. We love this - the temperatures may have plummeted but North East surfers are a hardy lot and were out enjoying some great waves off Tynemouth this morning. Press Association photographer Owen Humphreys took this beautiful photo.